The 46 billion Dollars Mega Project CPEC is a flagship project of Chinese broader vision of One Belt, One Road (OBOR). It has been rightly termed as “Economic Game and Fate Changer”. CPEC will not only bring prosperity to Pakistan and China but also benefit the region at large. China Pakistan Economic Corridor (CPEC) has started with dozens of projects under implementation in all regions of the country. CPEC will open doors to immense economic as well as strategic opportunities for the people of South Asia and connect China to promote in Asia, Europe and beyond. The CPEC land route up to Gwadar will shorten the existing circuitous sea route of almost 16,000 kms to about 3,000 kms, greatly reducing the travelling time and economic cost. Despite of the debates being aired in opposition to CPEC, successful realization of CPEC will result in meeting the energy shortfalls, in addition to building the development and communication infrastructure. China and Pakistan’s multidimensional interests continue to converge and CPEC now epitomizes the continuously growing strength of their alliance. The Russians have started engaging Pakistan at the economic, political and strategic levels. Its historical interest in the perennial warm waters of the Arabian Sea is getting revived by the success of CPEC. The CARs, Iran, Saudi Arabia, Turkey and even the EU amongst others have shown interest in getting involved with CPEC. From security perspective, Pakistan “has done everything” to ensure the safety about 19,000 Chinese working on different projects in the country. Pakistan has deployed more than 15,000 troops to protect the CPEC, and the country’s navy has raised a special contingent for the protection of the strategic Gwadar Port. The relations between Pakistan and China have been explained by Pakistan’s ambassador to China as higher than the mountains, deeper than the oceans, stronger than steel, dearer than eyesight, sweeter than honey, and so on. China has become Pakistan’s largest provider of arms and its third-largest trading partner. Along this China and Pakistan share close military relations, with China supplying a range of modern armaments to the Pakistan armed forces. China supports Pakistan’s standpoint on Kashmir while Pakistan supports China on the issues of Xinjiang, Tibet, and Taiwan. Military cooperation has deepened with joint projects producing armaments ranging from fighter jets to guided missile frigates. The People’s Liberation Army (PLA) is the military arm of the Communist Party of China (CPC) and the defacto armed forces of the People’s Republic of China, consisting of land, sea, strategic missile and air forces. 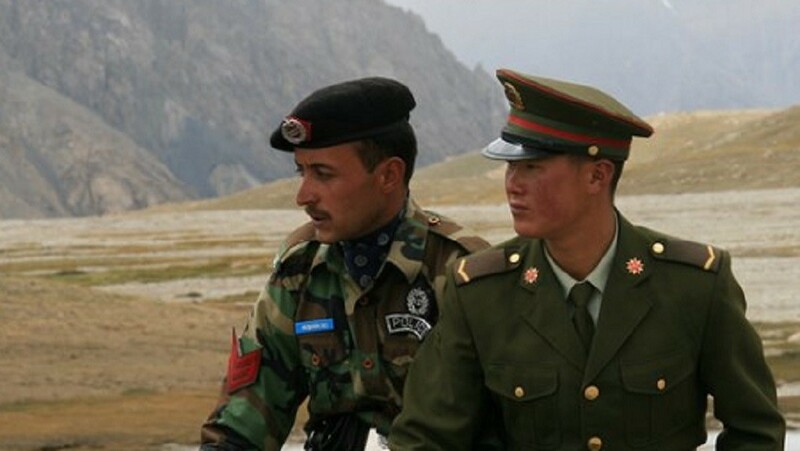 PLA has also been the rung of ladder in establishing strong military relations with Pakistan. (PLA) has never participated in such an event in any other country. Nevertheless in support of Pakistan, China sent a 90-member contingent of the People’s Liberation Army to the 23rd March Pakistan Day Parade. In recent years, the relationship has deepened even further and China has entered several military projects and defense treaties with Pakistan. China has also been a perpetual source of military equipment and has assisted Pakistan in setting up weapon production and modernization facilities Pakistan has been purchasing military equipment from China in order to bolster their efforts against militants. Islamabad and Beijing inked two new military procurements contracts during the visit of Chinese Premier Wen Jiabao to Islamabad last year, which included the procurement of 20 CH-3 Unmanned Combat Aerial Vehicles (UCAV) developed by the China Aerospace Science and Technology Corp (CASC). The CH-3 is a Medium-Altitude Long Endurance (MALE) unmanned platform and is capable of battlefield reconnaissance, fire adjustment, data relay, intelligence collection, ground-strike missions and electronic warfare missions. Few of the defense deals and joint ventures between both countries are JF-17 Thunder, PAF Shaanxi, ZDK-03 AEW&C, K-8 Karakorum, Advance Training aircraft, Al Khalid I& II Tanks, Hongdu JL-8,Type 054A Jiangkai Stealth Frigate, FC-20/J-10B, Fighter Jet. FT-5 small-diameter bombs for Army Aviation and the Type 022 Hobei-class catamarans for Pakistan Navy. Future Implications of China plans to step up military cooperation with “all weather” friend Pakistan to produce ballistic missiles, cruise missiles and a multi-role combat aircrafts. Official media here reported as Pakistan’s new army chief held talks with top Chinese officials On his first visit to China after he took over as Pakistan’s army chief, General Qamar Javed Bajwa held talks with General Fang Fenghui, chief of the Joint Staff Department under the Central Military Commission. China will provide the Pakistan Navy with eight modified diesel-electric attack submarines by 2028, the head of the country’s next-generation submarine program told the Pakistan National Assembly’s Standing Committee on Defense during the committee’s visit to the Naval Headquarters in Islamabad last year. This alliance between two neighboring Asian nations is significant geo-politically as well as strategically. COAS visit will consolidate and deepen military exchanges between China and Pakistan, while new cooperation on military techniques will be augmented further. China’s authorization to Pakistan to produce ballistic missiles, cruise missiles, anti-aircraft missiles, anti-ship missiles and main battle tanks in Pakistan is also on the agenda. Pakistan-China ties are to reach new heights as the two countries are forging ahead economically and strategically. The point need to be highlighted is that China has always second-hand its economic characteristic and authority to clear downs its ways to improve its strategic partnership with Pakistan. Moreover, bilateral visits by officers from both the countries in various military installations and academies / institutions and joint military exercise have further deepened the historic ties having a futuristic vision of enormous potential. CPEC is bound to become the massive centre of gravity politically, economically and strategically around which the regional and even extra regional economies will thrive in the near future.